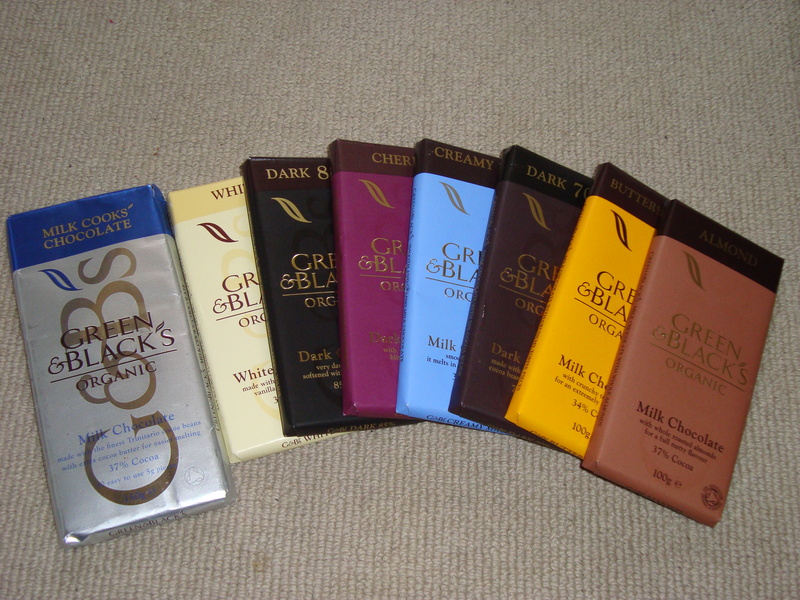 Last week I was lucky enough to receive this in the post from Green & Blacks and was overcome with excitement! The chocolate also came with a tasting guide, which I will go into in a separate post, but suffice to say it differs from my usual ‘open bar of chocolate and cram as much in your mouth as you can’ approach! I was fairly restrained though and decided I’d do something a little different with some of my chocolate, and what better to do than a little baking? 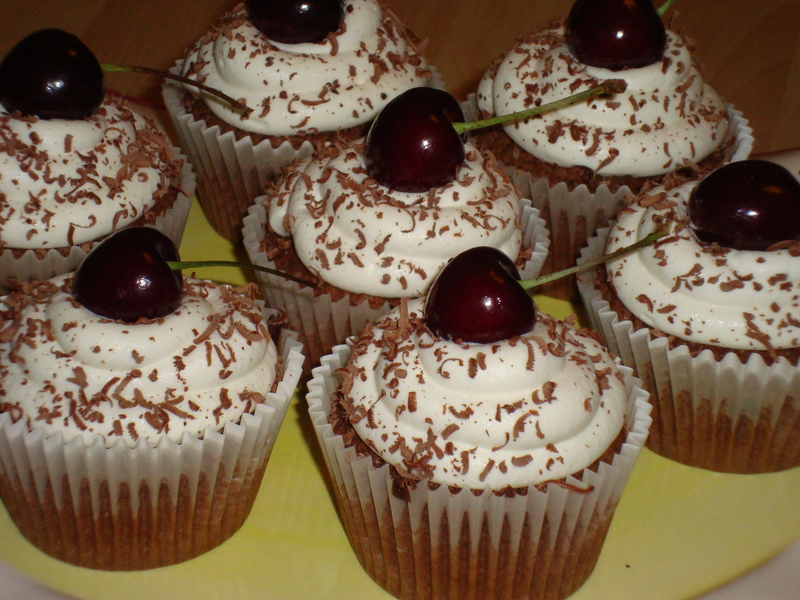 One of my all time favourite flavour combinations is chocolate and cherry so I started with the cherry bar and concocted a recipe for black forest cupcakes. As Green & Blacks chocolate is organic I chose to use good quality organic and fair trade ingredients too. 1. Preheat the over to about 170°C and put 12 cupcake cakes in a muffin tin. 2. Cream together the margarine and sugar. The easiest way to do this is in a mixer but you can do it by hand. 3. Add the eggs and sift in the flour and baking powder. Mix until they are well incorported. 4. Melt the chocolate. The easiest way is to heat it for 10-20 seconds at a time in the microwave. You can also melt it in a bowl over a pan of boiling water, making sure the bottom of the bowl doesn’t touch the water. 5. Add the melted chocolate and cherry brandy to the cake mix and stir to combine them. The mixture may firm up quite a bit but don’t panic, it will cook fine! 6. Spoon equal amounts into each cupcake case and bake for around 15-20 mins until the cakes spring back to the touch. Leave them to cool completely. 7. Whip up the cream and pipe onto the cakes. 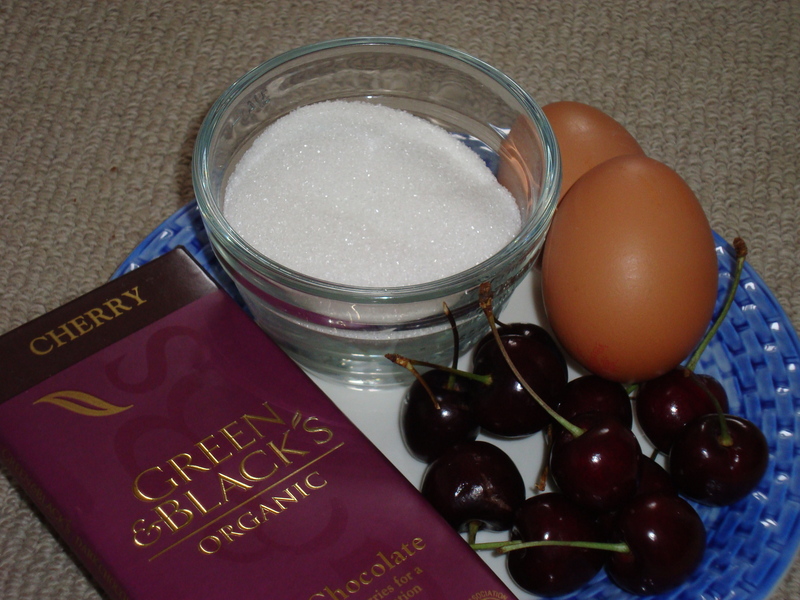 Sprinkle with grated dark chocolate and add a cherry to each one. If you leave the stones in the cherries, don’t forget to warn the recipients and remove the cherry before you give them to children! The cupcakes are best eaten the same day and leftovers should be stored in the fridge to keep the cream fresh. I am salivating … and still waiting for my delivery! What a fab recipe and how lovely of you to share it with us all! Maybe I should do coaching and cakes sessions….? Mmm, they look and sound gorgeous! Laura – hope your delivery arrives soon. I nearly wet myself with excitement when they arrived! 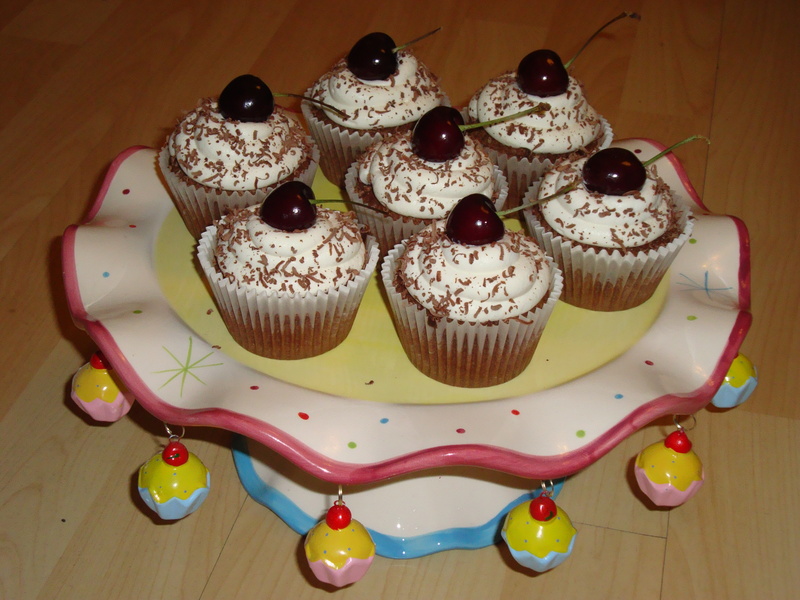 Jane – what could be better than a coaching and cakes session? 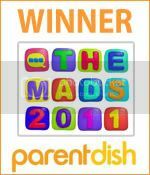 English Mum – let me know how you get on with the recipe – hope they turn out scrummy!